I’ve spent many, many hours looking at fonts on the internet, mostly searching for one particular font, and then getting lost in the hundreds of potentials. And with computers, it’s easy to forget that creating a typeface was a specialised craft. And yes, it still is. In this modern age, there is a love of typefaces like never before. This can be attributed to advent of desktop publishing and the book covers this well. There is also the factor of typefaces sitting in the subconscious. The book covers how a typeface can give the words a certain personality (and why people dislike Comic Sans) and the psychology behind certain font faces. 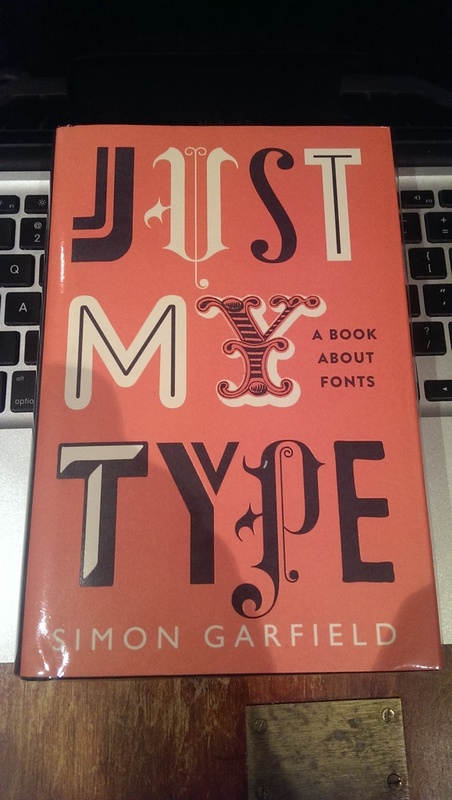 So, if you have a love for fonts, and spent hours laying them out for websites, or something to print out, then give this book a whirl, because at least you know a little more about the fonts you know. And if not that, at least you’ll never see an ampersand the same way again. This entry was posted in books and tagged book, fonts. Bookmark the permalink.